Save 54% on the Teething Buddy Teething Toy & Blanket , Free Shipping Eligible! 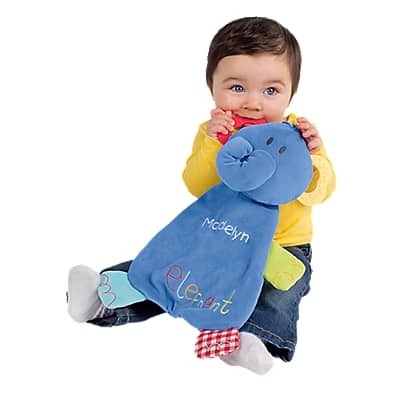 The Teething Buddy Teething Toy & Blanket is on sale for $6.95 at OneStepAhead.com today only. That's 54% off the regular price of $14.95! Plus when you buy 3 or more, you can save an additional $2 on each. This promotional price is valid for today (2/20) only or while supplies last.